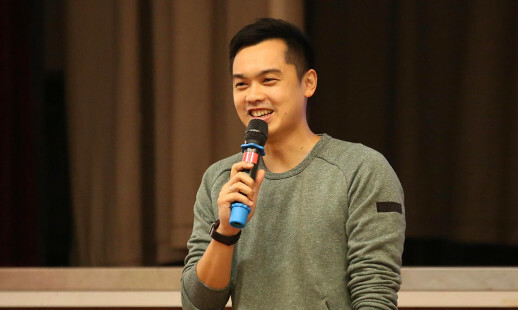 After more than a decade developing young talent at Hopewell Holdings, Garrick Lau is on a new mission to inspire the next generation. 1. Please talk about your transition from an HR executive to a CEO. When I took up the role a year ago, since I was not familiar with the industry (nor the role of a CEO), I have been exposed to new knowledge and experience day by day. Things such as charity board management, fundraising, gamification, education policies, etc, are totally new for me. Thanks to the patience of my board and the team, I am still learning to be a better CEO. 2. What are some of the tips you want to share with HR professionals on finding their way to becoming a CEO? If fellow HRs are aspired to create an environment to empower talent to perform, this will be a core strength of a modern day CEO because the current pace and complexity in decision-making for organisations prevents CEOs to have enough time to understand and decide on everything. I think CEOs need to create an environment that can empower the team to perform, which involves systematic delegations, a flexible employee experience design, and a cheerleader mindset from the CEOs. Oh, are these coincidentally the strengths of HR? 3. Please describe your management style? Honesty and trust. Research shows that high performing teams possess a strong sense of security. I do want to manage based on honesty and trust, so as to help my team feel comfortable to voice criticisms, share feelings, and most importantly, being themselves as individuals. 4. What are some of the innovative HR policies you have introduced at Junior Achievement after you took over as CEO? One thing we are trying is to experiment a growing trend of having “slasher” positions in the team, where the slashers have different working hours and are allowed to have jobs outside the organisation. It is more tricky than I expected, and we are still experimenting. I hope to share with more HR people in the future when they want to start from scratch. Another thing we have started is having students with special education needs as our interns. Besides helping the students, it turns out to be a really beneficial empathetical experience/training for the whole team. 5. In your new role, what are your goals in helping young talent live up to their potential? 6. Please talk about your personal goals. Where do you see yourself in the next five years. As Junior Achievement has been one of the pioneers in bringing entrepreneurship and financial literacy education to Hong Kong students, I hope we can continue to innovate the learning experience to cater to their current and future needs, given that it’s sad to read about studies showing that local students are having the lowest sense of meaning for life and lowest sense of belonging to schools compared with the rest of the world. We have a lot of work to do.